Access to a wealth of additional study material. Including supporting language texts, film clips and more! Highly Recommended by EMRO. Read the review. Now available in North America for the first time, this award-winning, six-part documentary series uncovers the little-known history of a clandestine group of anti-Franco filmmakers operating under total secrecy in ‘60s and ‘70s Spain. Forced to choose between exile and intellectual annihilation, these filmmakers instead expressed themselves, putting their art into the service of a political movement that altered the course of Spanish history. Their saga, nearly lost to oblivion along with their films, provides crucial witness to the end of the Franco era while simultaneously revealing a bold and formally innovative period in Spanish Cinema. Interviews with the pillars of Independent Spanish Cinema are prominently featured in the series, including directors Pere Portabella, Llorenc Soler, Marti Rom, Joseph M. Ramón, Antoni Padros,Manuel Esteban, Carles Barba, and others. Shooting under the pretense of amateur filmmaking, clandestine directors sometimes hid within crowds of protesters, producing works that were highly creative and even experimental. They used short ends—bits of unexposed footage left over from shoots—made available to them by sympathetic professionals and distributed their films in recreation centers, private homes, cinema clubs, universities, social and cultural associations, and even parochial schools. Being clandestine required these artists to develop aliases, which has led to some difficulties for historical investigation and film preservation. Many of these films were made without credits, in order to protect the identities of the participants. While this body of work represents a margin of Spanish film history, it nevertheless contains some of the most crucial, first-hand documents of the end of the dictatorship, revealing problems of housing and social services, immigration, the fate of political prisoners, and restrictions on expression and free speech. These filmmakers, members of a generation born after the Civil War, also chronicled the ongoing psychological, social, economic, and cultural effects of that conflict. + 6 high-quality discs in a beautiful box set. + Thematic, 44-minute episodes chronicle the movement from 1960 – 1975. + A complementary 92-page, full-color episode-guide. supporting language texts, film clips and more! 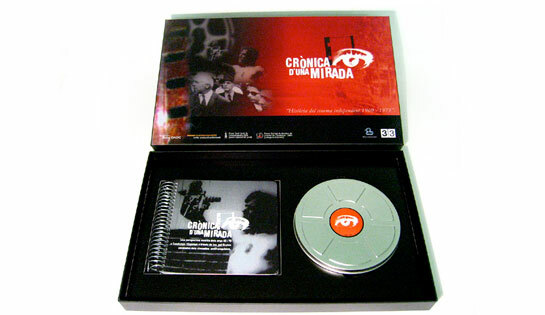 Below are brief descriptions of the 6 episodes of CRONICA D’UNA MIRADA and the extras included on each disc. The complete guide (available in Catalan, Spanish or English) can be downloaded HERE. The first episode reflects on the beginnings of the movement, during the early 60’s, and on some of the amateur films to come out of that time. These were the first films that dared to explore what was not permitted and tried to investigate, not without a certain ambiguity, the day to day morality of that time. This episode features clips from Vacaciones Cristianas, Vacaciones Paganas (1961) by Carles Barba and Lejos de los Árboles (1964) by Jacinto Esteva. Films included as extras on disc 1: El Alegre Paralelo (1964, 28 min. ), Enric Ripoll and Josep-Maria Freixes Ramon; Viernes Santo (1960, 26 min. ), Joan Gabriel Tharrats; Aspectes i Personatges de Barcelona 1964 (1975, 25 min. ), Carles Barba. By this point the motion picture camera had ceased to be innocent, as more and more disquieting images were captured through its lens, such as the masses of people trying to leave the poverty of the countryside behind only to find themselves in city slums. The films of this moment became about trying to mobilize people to stand up against authority instead of trying to hide under the shade of a truth dictated by decree. This episode features clips from Será tu Tierra (1966) and Largo Viaje Hacia la Ira (1969), by Llorenc Soler; and O Todos o Ninguno (1976) by Helena Lumbreras and Maria Lisa. Films included as extras on Disc 2: No se Admite Personal (Plaza de Urquinaona) (1968, 15 min. ), Antoni Lucchetti; El Campo para el Hombre (1974, 49 min. ), Helena Lumbreras and Maria Lisa; 52 Domingos (1967, 27 min. ), Llorenc Soler. The film camera was by now a fully political instrument. Already the police had used confiscated films to identify possible suspects, so therefore it was better if credits did not appear on the prints and it was best to interview people in silhouette, or if possible, frame the interviewee from the neck down. A clandestine distribution network was created where the films were given false names, stored in private flats, catalogued into lists camouflaged among medieval poetry texts, and later distributed to interested parties under total secrecy and anonymity. Films included as an extras on Disc 3: Paris, 20 de juny de 1971 Mitin en Montreuil (1971, 106 min. ), Anonymous. This episode focuses primarily on the film El Sopar by Pere Portabella, a document of the 1974 meeting of a group of former political prisoners at a remote farmhouse outside of Barcelona. Now more than 30 years later, the documentary crew revisits this farmhouse, bringing Pere Portabella along to record his recollections. This episode also includes commentary from Manuel Esteban, now president of the Association of Film Directors of Catalonia, and Pere Joan Ventura, winner of the Goya Prize 2003 for Best Documentary Film for El Efecto Iguazú. Film included as extras on Disc 4: La Censura del Franquismo (1971, 29 min. ), Manuel Esteban. The political, social and even psychological situation in Spain changed dramatically after the events of May 1968 and the terrorist attack against Carrero Blanco. This change was reflected in the independent cinema of that time. But it wasn’t until the emergence of directors like Antoni Padrós (Dafnis i Cloe, 1969; Lock Out, 1973; Shirley Temple Story, 1976) and José María Nunes (Sexperiencias, 1969) that new styles, techniques and a sense of relative freedom arose, if only formally. 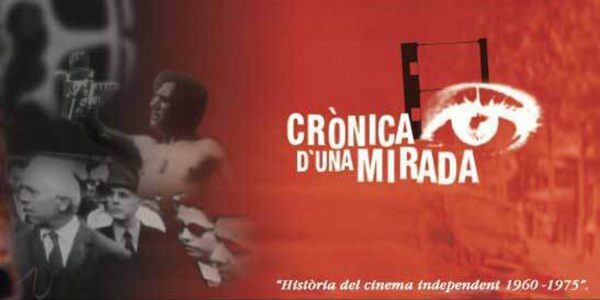 The production, distribution and display of their films was carried out by Josep Miquel Martí Rom and Joan Martí Valls via La Central del Curt and the Cooperativa de Cinema Alternatiu. There was also the help of two such atypical filmmakers as Jan Baca and Toni Garriga, and this episode includes excerpts of their films Cop Baix (1968), Hàbitat (1971), L´home de la Poma (1972) and Blanc i Negre (1974). Film included as extras on Disc 5: Sexperiencias (1969, 92 min. ), Jose Maria Nunes; Dafne i Chloe(1969, 23 min. ), Antoni Padrós. This segment explores the final period of the Franco years, with all the unsteadiness, fears and hopes afflicting the society and also reflected in its independent cinema. It was during this time that two young journalism students, Bartolomeu Vilà and Simó, ventured to produce Entre la Esperanza y el Fraude (1974), the first film to explain the Second Republic and the Civil War from a perspective that differed from the official one. And with Votad, Votad, Malditos (1977), Llorenç Soler walks the streets the day before the first democratic elections (15th of June 1977), asking people who they are going to vote for. Further clips featured in this episode are: Alborada (1975-1976), Joan Mallarch and Lluís Garay, and Testamento (1977) Joan Martí Valls. Films included as extras on Disc 6: Votad, Votad, Malditos (1977, 23 min. ), Llorenç Soler; Hic Digitur Dei (1976-77, 85 min. ), Antoni Marti i Gich.